A crucial part of successful blackjack playing is how to control and bet with your bankroll. Learning how to bet effectively will determine how long you’re going to be at the blackjack table, as well as, how much you will win. If you don’t manage your bankroll properly, all the game knowledge and strategy in the world will not help you beat the game. Though it is a highly personal and individual subject, it is best to first figure out what you can afford to lose. Just because you’ve come to the casino with solid knowledge of the game and specific strategies to insure a winning session, you must remember that it is a game of chance where the “house” does have a slight edge, therefore, there is a chance you could lose. Unfortunately, there are going to be nights where the cards are just not running right and you’ve got to have the discipline to get up and leave and cut your losses. Simply put, your bankroll for the session is the maximum amount you are willing to lose. Any money used for gambling should be expendable because there’s always the chance you’ll lose it. There’s an old gambling proverb: “When you gamble with money you can’t afford to lose, lose you will!” Sometimes proper blackjack play involves moves that may seem extra risky, so if you’re worried about losing the money on that bet, you won’t make the proper move! The general rule for bankroll size in blackjack, is to have 50 times the minimum bet. This means at a $5 minimum bet table, you should have at least $250 to play effectively. This allows you to handle the hot and cold runs of cards that is inevitable as a game plays on. As most tables these days play with six or more decks in the shoe, it may take a few hands for the shoe to become favorable for the player. With the correct bankroll, you can wait out the cold deck and wait to take advantage of the hot deck and bet more at that time. You can of course come to the table with less, and with a good betting system, to be discussed later, you can still make a pretty good profit and win at blackjack. The amount will definitely depend on various factors, but with knowledge of card counting, you’ll know to increase your bet size significantly if the deck is favorable to the player. If the deck is favorable to the casino, bet the table minimum. If you’re not a card counter, there are still betting strategies or systems to use to optimize your potential winnings. When thinking of a betting strategy, you should think in terms of a betting system. With each betting system, you think in terms of the number of “units” to bet each time. A unit is going to be the minimum table bet. So for a $10 minimum bet table, one unit is $10. There are positive and negative betting systems out there. What that means is whether or not you increase your bet after a win or a loss. It’s a positive method if you increase your bet after a win, and it’s a negative system if you increase your bet after a loss. I’ll go over a couple of the most popular positive bet systems. The following systems are good to use if you’re not a card counter. If you count cards, you would be increasing your bets more significantly than these methods suggest, when the count is favorable to the player. The Up and Pull – The bet cycle is continued until you lose a hand. To begin, you start with a 2 unit bet, (double the table minimum). If you win the first hand, your next bet will be one unit, you have 1 unit profit. If you win again (with the 1 unit bet), you up your next bet to 2 units again. If you win this bet, increase your next bet to 3 units. Keep increasing your bet by one unit each time you win. The moment you lose, go back to the original 2 unit bet and start the cycle over again. This method lets you take advantage of good swings in which you win multiple hands in a row, while keeping losses to a minimum when the deck is favoring the dealer. The Paroli Strategy – Start with the minimum bet. Each time you win, you double the amount for the next bet, but for a maximum of 3 wins in a row. If you win 3 times in a row, go back to the original minimum bet. Once you lose a bet, go back to the minimum, looking to win 3 times in a row. One Half Up – Once again you start with the minimum bet and increase your bet only once you have won two bets in a row. After two wins in a row, you increase your bet by 50% of the initial bet. As the winning countinues, each bet is a 50% increase of the previous bet. For example, start with a $10 bet and if you win 2 hands in a row, your bet for the 3rd hand would be $15 and if you win that, the bet for the 4th hand would be $20, and so forth. Once you lose a bet though, you go back to the minimum and wait to increase your bet again after 2 wins in a row. Basically any method that wants you to double the amount of a losing bet. Just think about what would happen with this method if you lose just a few hands in row. Your blackjack session can end very quickly with any system that suggests doubling a losing bet. You don’t have to be a card counter. The best and easiest thing to remember for winning blackjack strategies is to increase your bets when you’re winning and decrease your bets when you’re losing. It can be as simple as that. Blackjack is a game that definitely has it’s hot and cold swings. Push the bar when it’s hot, pull the bar back when it’s cold. Good luck! Learning to count cards for blackjack will greatly enhance your chance of a profitable session of playing blackjack and beating the casino for the evening. 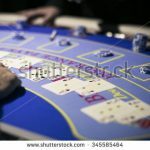 Though it might be hard to get the big winners to admit to card counting, you can bet that they all use some sort of card counting system if they say they can regularly win at blackjack Card counting makes such a big difference in winning or losing that people do question the legality of it. While it is NOT illegal, casinos definitely watch for card counters and will kindly ask a card counter not to come back. They may let you enjoy the rest of the casino, but you will be banned from the blackjack tables. So, actually the hardest part of card counting is not to get caught so you don’t get banned. Try not to make dramatic changes in bet sizes, so as to alert pit bosses. Even if the card count is a high positive number, control your increase in bet size so you don’t draw attention to yourself. It’s better to be able to come back to a casino on a regular basis, winning a reasonable amount each time, as opposed to having one killer night and being asked never to return because you won too much! As in basic blackjack strategy, card counting is easy to learn, but difficult and time-consuming to become proficient at and master. That being said, if you take the time to do just that, it can make your blackjack sessions highly profitable for the most part. 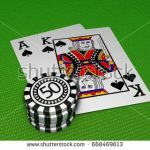 With card counting, you are basically keeping track of the ratio of low cards to high cards that are left in the shoe. Contrary to popular belief, it does not involve memorization. The player’s advantage is heightened when there are more high cards (10’s-Aces) remaining in the shoe, so that’s what a player needs to keep track of and know. If there are more high cards played in a round, that means there are more low cards left in the shoe. If that is the case, the dealer has the advantage because it is more likely that he will be able to “hit” his cards and not bust because he’ll probably get a low card. If the opposite occurs, and there are more high cards in the shoe, there’s a better chance that the dealer will bust if he has to “hit” his hand because he’ll probably get a high card…advantage player! What is basic card counting strategy? The easiest and probably most used system is known as Hi-Lo. First, you want to assign a value to every card. Within the Hi-Lo system, card values are assigned as: 2-6=+1, 7-9=0, 10-Aces=-1. So as each card is dealt, you keep a running total based on the card’s assigned value. With each card dealt, you either add 1, subtract 1 or do nothing if it’s a 0 card (7-9). You do make sure you include the dealer’s cards in the count as well. When the running count becomes positive or favorable, you’ll want to increase your bet size. With the use of multiple decks, the running count can be deceiving in terms of what is the actual ratio of high cards to low cards left in the shoe. True count is determined by dividing the running count by the number of remaining decks in the game. This is probably the most tricky part of card counting, because it does involve basic math..division! If you’re at a table playing with 6 decks and you have a running count of +4 with 2 remaining decks, your true count would be 4 divided by 2, which is +2. A card counter must watch all cards played, even the dealer’s cards, to keep a running count in mind. The count is continued until a shuffle occurs or end of round. Once a shuffle has occurred, the count starts back at zero. The higher the positive count, the bigger the counter’s edge, and therefore the bigger the bet size should be. With a negative or neutral running count, keep the bets minimal. Proper money management is also an integral part of profitable blackjack sessions. Card counting is just the ability to figure out when it is most advantageous to make bigger bets and win more money. It just makes you a more skilled player than the person next to you. A card counter won’t win every time, but will win more often than not. Really good money can be made with card counting because you’ll be winning with larger bets and losing with smaller bets, if done properly. You don’t have to be genius to learn it either. Anybody willing to put in the necessary time to master card counting can beat the casino at blackjack. Patience is a virtue at any blackjack table and keeping a few simple rules in mind is the best way to win at the blackjack table. Any book or instructor will tell you the first thing you must learn is the basic strategy for playing blackjack. If you don’t know the game, inside and out, you definitely won’t win on a regular basis. There is some luck involved of course or it wouldn’t be considered gambling, but luck will not win out in the long run. 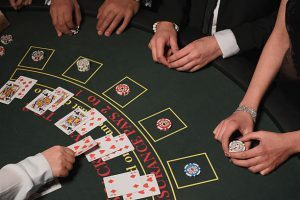 In terms of giving yourself the best chance to win at blackjack, there are specific moves to make for any given situation that will come up during a hand of blackjack. 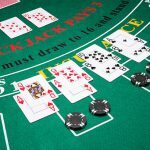 A basic blackjack strategy chart will tell you the best move to make depending on what you have and what the dealer has. Memorize these rules and you’ll drop the casino’s edge to less that one half percent. Those are the odds you need to learn how to beat the casinos in blackjack. Make sure you actually look at the table rules and limits before you sit down. Just take the time to observe at least one round of play, to make sure it’s a table you’d be comfortable playing a hand or two at. Make sure you know the mimimum and maximum bets allowed. Many players look at only what the minimum bet is, but being aware of the maximum is also important to maximize your bettig strategies. You might not think so, but a friendly dealer can absolutely make the difference in a profitable playing session. They do work for tips and should be nice to you. If they aren’t, move to another table, without feeling bad. Giving the dealer a tip every now and then will give them reason to “help” you by giving you a little extra time to think about the correct play if you get a little flustered. If you’re rude to them, they’ll be rude to you by rushing the play, forcing you to make quick decisions that may be wrong. The dealer doesn’t control the cards, but does control the speed of play, which you want to be a your pace, not theirs. Make sure you’ve determined your spending limit before you sit down at a table and stick to the plan. You will play more relaxed and smarter if you’re not worried about playing with mony you really can’t afford to lose. Remember, it is gambling and in reality, the casino is slightly favored to win, so don’t play with money your can’t afford to lose, because you won’t win every time. You are in control of how long you play. Don’t slap all your money down on the first table you sit at. Play with about one third of you total bankroll at first to see how the cards are running. If the cards are runing favorably, increase your betting, if not, get up and move to another table. Blackjack is a game and should be fun for you to play, while giving you that chance to win some money. You can win at the blackjack table, but if you’re not enjoying yourself, it’s time to get up and go home! It is truly wide known that blackjack is the one casino game where skill can totally make the difference in a winning or losing session of gaming. There are many different strategies available and it is so important that a player tests different ones and begins using them in their playing sessions. Every effective available strategy is based on pure logic and numbers that cannot be denied. With that being understood, the best thing a player can do is to forget any superstitions, rituals, lucky thoughts and the like, and just believe in the numbers and trust the process. So let’s review some of the best game plans one can take on to win at blackjack each time you play. Some players don’t realize how important this first step can be. Picking a good casino site is a huge fact in blackjack success. The simple secret is to choose an established, highly regarded casino that features many blackjack games and lucrative bonuses that you can use on them. You must realize that not all online casinos are safe and reliable. Sometimes casinos might refuse to pay out winnings, even though you have won fair and square. If you choose licensed and regulated casions, you have a reasonable probability of winning and most importantly, quaranteed payouts. With many different versions out there, picking the correct one for you is critical to having a comprehensive blackjack strategy. The most crucial detail of a game is unquestionably the house edge, and of course, the lower, the better. This should be the first thing you should check because it can range from .17% for “Blackjack Switch” and .62% for “21 Duel Blackjack,” as an example. In fact, some online blackjack games have a house edge over 2%, you definitely want to stay away from those. Find and commit to memory a basic blackjack strategy chart. Do not play any of the side bets. They are how the casinos up the house edge. They don’t pay off in the long run, so they really are “sucker bets” for the beginner player who thinks he has a “hunch.” Remember, strategies are based on logic and numbers, and the process must be trusted. Card counting helps you keep track of the relation between high cards and low cards in the shoe. It can definitely be helpful information to know when there are more high cards in the shoe, giving the player better odds of winning. More high cards gives the player a higher count for their hand, while also making it a higher probability that the dealer will bust. Using a suitable blackjack strategy card show you the right play to make in any situation, but it doesn’t tell you how much you should be betting. Of the many betting systems out there, progressive betting is most popular because it’s based on the idea (not fact) that if you’ve lost several times, you’re bound to win soon. Of course that’s not true. There is no betting system alone that will help you beat the house, but a good betting system and good blackjack strategy will increase your blackjack success. For instance, card counting will let you know when the odds are more in your favor and therefore you should increase your wager. The biggest advantage to playing online blackjack is the generous bonus opportunities that online casinos offer. These incentives may be extra money that isn’t acutally yours, yet you are able to keep any winnings resulting from the use of that money. Obviously this is a big player edge. With an already low house edge, solid strategy and generous bonuses, online blackjack success is completely possible. The best online blackjack strategy is to carefully choose a game plan that precisely coorresponds to the game variation you’ve chosen to play. For online, look for the generous bonuses and combine that as well, with perfect blackjack strategy to beat the casino. Most of all relax and trust the process. Remember, it’s a game, so have fun. What can be more fun than making money playing a card game! 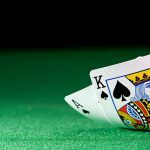 The most successful Blackjack players first learned to beat the game by using a Blackjack chart. It has been proven that there are statistically correct moves to make in game situations that increase your odds in winning the game, or making your particular session more profitable. Basic strategy is the first thing you need to know before you can start to get an edge at the casinos. Blackjack already gives you the best odds in the casino, and having the perfect basic strategy can make those odds even better. Honestly, you’ll need to know more than basic strategy, like card counting, deviations, true count conversion and betting strategies (to be discussed later) to regularly beat the game of Blackjack, but with perfect basic strategy, you can play winning Blackjack. Start with one basic chart. You will find there are many “basic charts” out there and you want to make sure you haven’t started with a more advanced chart that would be difficult to memorize. 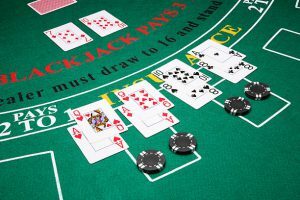 I have found that Blackjack playing charts can get more specialized or intricate, the more advanced you are in playing the game, so make sure you are studying charts in an organized manner. You will confuse yourself if you don’t. Though some casinos will allow you to come in and sit at the table with a wallet-size strategy chart, it is best to take the time to memorize it. I know that seems like it would be hard and take a lot of time to do, it’s well worth the trouble. Taking the time to perfectly learn the basic strategy of Blackjack is the first step towards winning Blackjack and beating the casinos. Your fellow players at your table will also appreciate not having to wait for you to look at your chart to figure out the correct move to make! Basic Blackjack strategy gives you the best decision/move, as the player, given every possible combination of starting player hands and dealer up cards. The best decision for the player is the one that loses the least amount of money to the casino over time. Adding card counting to using basic strategy is the most common way I’ve seen players turn the house edge into the players edge, or at least the lowest house edge. More people than you would think use at least some simple form of card counting while playing Blackjack. The concept of card counting is to keep track of the ratio of low cards to high cards, allowing the player to know when the advantage shifts from the casino to the player. When the casino has the advantage, minimize your bets, when the player has the advantage, maximize your bets. As this sort of implies, the use of winning Blackjack betting strategies is also important. You don’t have to be highly intelligent to master card counting. It can be a very simple system to keep track of how many bad cards you’ve seen, in relation to good cards! It’s just a matter of putting in the hours of practice to beat the casinos. Many average people beat the casinos every day using basic strategy and card counting, believe that! Blackjack is a simple game to learn, fun to play, time-consuming to master, but can also be a profitable past-time if perfected. I am an entrepreneur interested in many things. I am not a professional gambler, just someone who loves the casino atmosphere and the idea of making money playing cards for a living. Blackjack seems to be such an easy game to play, and with the proper strategies, can be played for a profit. I’m a weekend hack who is really looking to make a fun hobby, a profitable hobby. I’ve already discovered in business that if you want to be successful, it’s always best if you can make each interaction a win/win situation. My customer receives want they’re looking for and I receive compensation for giving it to them. I believe that the more you give, the more you receive in return. We all can have fun and make more money! 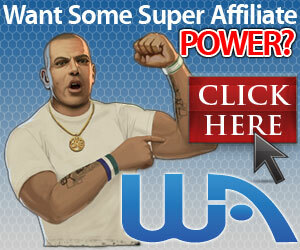 What can be better than helping people make more money, while having fun! We all can win! To help more people enjoy learning and playing Blackjack, for a profit, with tips, strategies and products.